Will was an optics maker in Wetzlar, Germany. Among other products were some camera optics. 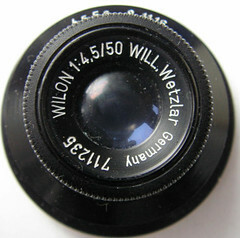 Better known were its Wilon enlarger lenses and its "Maginon" projector lenses. This page was last edited on 24 October 2016, at 03:36.